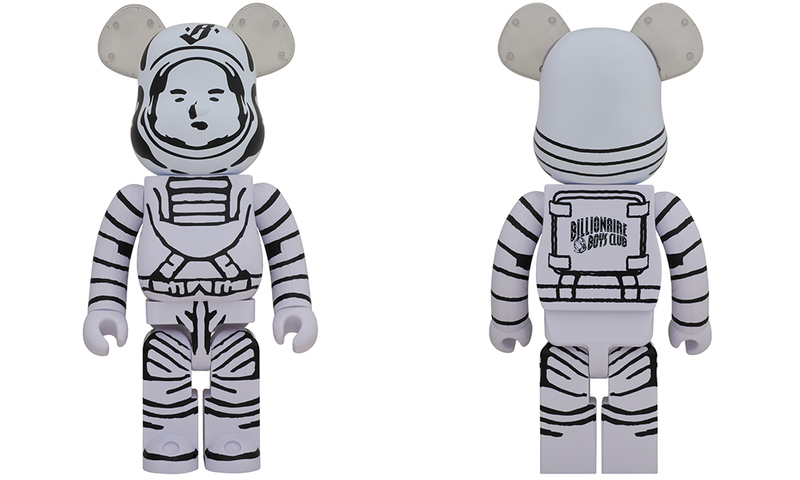 Billionaire Boys Club has taken one small step for man and a giant leap for hypebeasts with their limited edition Moon Man Collectible and White Astronaut BE@RBRICK 1000%. Dubbed as version “LANDING 001,” the Moon Man Collectible will arrive on Jan. 21, 12PM ET at the BBC ICECREAM NYC flagship, Miami pop-up, and online. This is a serious investment for BBC collectors as only 150 astronauts will be made available for purchase. Proving its provenance, the miniature vinyl spaceman comes with a numbered silver coin, the iconic flying “B” logo stamped on its chest, and the Billionaire Boys Club insignia on its primary life support subsystem. Celebrating BBC’s first collector’s item series a handful of moon man figurines will feature Pharrell Williams’ signature. Allowing BBC ICE CREAM aficionados to have an equal chance of purchasing a signed version, autographed models will be sold at random and at the same price ($300). If you happen to miss out on the drop, trust that this won’t be the only release as the moon-grey colorway is the first hue in a series of future Moon Man figurines. Other conceptualizations will feature various colorways and thematic designs. Following the Moon Man Collectible’s release later this month is the White Astronaut BE@RBRICK 1000% on Jan. 26 at BBC’s NYC, London, and Tokyo flagships and their respective websites. We’ve seen BBC collaborate with Medicom before. The BBC Starfield BE@RBRICK went hard AF and their BBC X NEIGHBORHOOD BE@RBRICK went even harder. 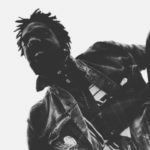 It seems as if the streetwear brand can’t help but up the par because this release, unlike previous ones, includes a stature increase. At 1000% the White Astronaut BE@RBRICK stands at 70cm high, features an astronaut body outline design, flexes transparent ears, and reps BBC logos on its head and back. This BE@RBRICK got the drip! Truth for the wise, the Moon Man Collectible and White Astronaut BE@RBRICK 1000% might be a little too fly to play with but without a doubt, still, worth the cop.